The Indian Navy successfully concluded maiden trials of the Deep Submergence Rescue Vehicle (DSRV) on 15 October 2018. The DSRV carried out under water mating with a bottomed submarine, at a depth of over 300 feet. 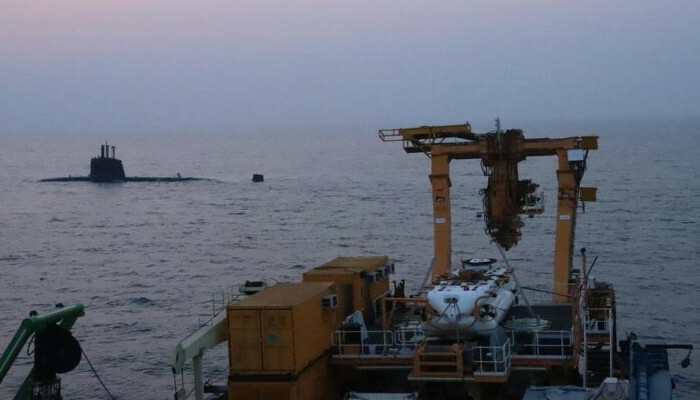 On successful mating the DSRV opened its hatches and the submarine hatches and carried out transfer of personnel from the submarine to the DSRV. These sea trials have proven the newly inducted DSRV’s ability to undertake rescue operations from disabled submarines at sea and have provided the Indian Navy with a critical capability. During the trials the DSRV also dived successfully up to 666 metres, which is a record for deepest submergence by a ‘manned vessel’ in Indian waters. The DSRV crew also carried out ROV operations at a depth of over 750 metres and Side Scan Sonar operations at a depth of over 650 metres, which are all ‘firsts’ for the Indian Navy.